The $800 Million Dollar Question: What’s the Difference Between Trademark and Copyright? Confused about the difference between trademark and copyright? Don’t be. It’s a mad, mad world. Ten years ago, when Sun sued Microsoft over Java, Sun alleged trademark infringement because Microsoft was not implementing Java according to Sun’s Java specification. Microsoft had entered into a license agreement with Sun — promising to follow the specification. When Microsoft deviated from the specification, Sun rightly claimed breach of contract and trademark infringement. Sun sought an injunction against Microsoft to stop using the Java logo and to remove the incompatible Microsoft code from the market. Sun ultimately prevailed, and received a large settlement, in part due to Microsoft’s anticompetitive conduct over Java. 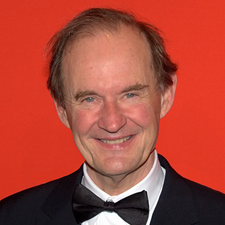 Boies now represents Oracle (which has since acquired Sun, including its rights to Java) in its case against Google for patent and copyright infringement of Java. He surely knows the differences between the issues in the prior lawsuits. Unlike Microsoft, Google never licensed Java from Sun. It never agreed with Sun to implement the Java specification, and it doesn’t call its product Java. It calls it Android and Android is not an antitrust case. In fact, the Microsoft .NET Framework and Java are the two dominant middleware platforms. In court pleadings, Oracle constantly argues that Google breaks the “write once, run anywhere” promise of Java. “Google has significantly harmed the value of the APIs by fragmenting Java and undercutting its “write once, run anywhere” capability. The problem for Oracle is that Google made no license promise, and doesn’t need to worry about Oracle’s “write once, run anywhere” registered trademark because it has nothing to do with Android. Android allegedly supports some, but not all, of the APIs defined for the Java platform… This so-called fragmentation undermines the “write once, run anywhere” concept underlying the Java system and supposedly damages Oracle by decreasing Java’s appeal to software developers. Google could have long ago pointed out that Oracle is alleging trademark harm using copyright infringement claims. But why should Google help Oracle plead correctly. Google never agreed to the “write once, run anywhere” promise from which Oracle says it suffered harm. While Oracle could have argued that Google has confused the market by making references to Java in Android marketing and documentation, Oracle cannot now amend the complaint with a trademark infringement cause of action. It’s too late. Google has already prevailed on the key issue of non-copyrightability of API names. In his partial summary judgement order September 15, 2011, Judge Alsup held that “the names of the Java language API files, packages, classes, and methods are not protectable as a matter of law.” Oracle has its work cut out, explaining to a trial jury that the names of the Java files, packages, classes and methods are not protectable, but Oracle somehow has a substantial copyright claim to snippets of code, declarations, and the arrangement of the specification. Oracle is not giving up however, and the API copyright issue isn’t the whole lawsuit. Oracle is also claiming patent infringement, and there are still questions of fact and law about the scope of Google’s alleged copying. But those don’t relate to the “write-once, run anywhere” promise from which Oracle says it suffered harm. Nevertheless, Oracle’s latest alleged copyright damages and lost profits estimate is still in the neighborhood of a whopping $800 million dollars. So don’t feel bad if you don’t understand the difference between trademark and copyright. A lot of fine people get it mixed up. For the past year Oracle and Google have been locked in high-profile dispute over Oracle’s rights to the APIs in the Java Virtual Machine. Oracle asserts that Google’s Android operating system infringes on JVM patents and copyrights that Oracle inherited as part of its 2009 acquisition of Sun. At the time of the acquisition, the open source community was concerned about Oracle owning MySQL, not Java. Java was flagged by the European Union. As a Wikileaks cable showed last week, the U.S. Government leaped to Oracle’s assistance in persuading the E.U. regulators to permit Oracle’s acquisition of Sun. Fast forward two years to a new owner of Java — an Oracle more hostile to open source than Sun and whose only competitor to Java is the Microsoft .NET Framework. At this stage of the copyright litigation in Oracle v Google, Oracle needs to demonstrate to Judge William Alsup that there is a “genuine issue of fact” whether Android infringes the Java APIs. That’s enough to get Oracle’s copyright case in front of a jury. To get the copyright issue thrown out before trial, Google must rebut the arguments that Oracle has presented. Addressing each specific fact, Google’s Reply last week offers an exceptionally detailed and clear tutorial on API copyright law. A legal monograph published by Professor Efthimios Parasidis in 2005 provides a similar analysis. Google’s Reply makes a strong case against copyright protection of APIs. But there are additional examples where APIs were considered unprotectable. In the antitrust case against Microsoft, a U.S. District Court stated “Theoretically, the developer of a non-Microsoft, Intel-compatible PC operating system could circumvent the applications barrier to entry by cloning the APIs exposed by the 32-bit versions of Windows (Windows 9x and Windows NT).” The court went on to say “Applications written for Windows would then also run on the rival system, and consumers could use the rival system confident in that knowledge.” This is the same circumstance in which U.S District Court Judge Alsup finds Android. There are two possible outcomes to the copyright claims of Oracle: Android infringes the Java APIs or it doesn’t. It may appeal the partial summary judgement on the copyright issue once there is a final judgment on the rest of the case. If Judge Alsup rules in favor of Oracle, then the copyright infringement issue will be decided by a jury later this year. Oracle has made Android a target in spite of the fact that Oracle has little or no stake in mobile devices, now or on the horizon. 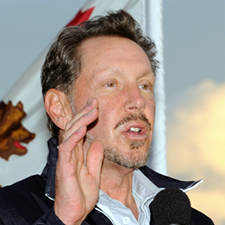 The chief beneficiary of taking down Android would be Apple, chaired by Ellison’s friend Steve Jobs. It seems questionable whether the Oracle Board of Directors is providing oversight of this case, since it doesn’t appear to benefit Oracle shareholders. One wonders if Ellison has other goals in mind. Oracle might like to see the API copyright issue head to the U.S. Supreme Court. If so, losing may ultimately benefit Oracle, eliminating concerns about linking to Linux header files or the GNU Classpath, and taking the air out of vague GPL license terms that create extraordinary copyright hazards for software companies.